View the Pedernales Falls from the scenic overlook at the north end of the park. Here, the river drops about 50 feet in elevation over a distance of 3,000 feet. Water cascades over tilted, layered stair steps of limestone. This river limestone is 300 million years old. 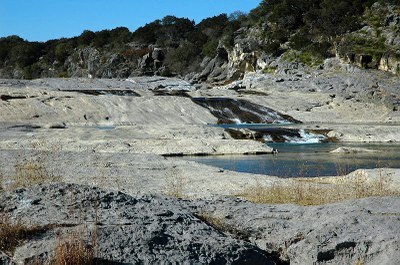 It is in the Marble Falls formation, and part of the southwestern flank of the Llano uplift. The uplift tilted these layers of limestone. Some 100 to 120 million years ago, early Cretaceous seas covered this part of Texas and deposited sands, gravels, younger limestone and marine fossils. Over time, these younger deposits eroded. 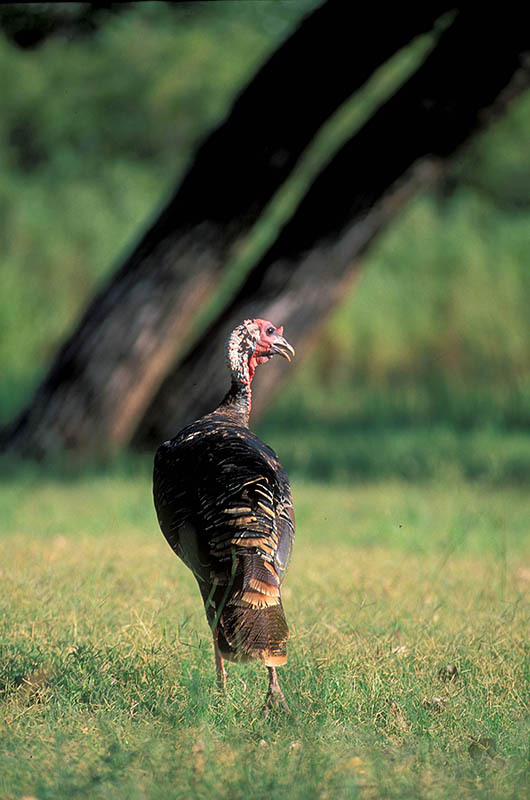 Wildlife here is typical of the Texas Hill Country. White-tailed deer, coyotes, rabbits, armadillos, skunks, opossums and raccoons live in the park. Anglers most commonly catch catfish, bass, sunfish and carp in the Pedernales River. Catfishing is good after a river rise. We’ve identified more than 150 species of birds in the park, and about one-third of these are permanent residents. Birds seen throughout the year include ravens, vultures, herons, quail, doves, owls, roadrunners and wild turkeys, as well as rufous-crowned sparrows and western scrub jays. Endangered golden-cheeked warblers nest in the park, arriving in mid-March. Well-marked trails pass through hills dotted with oak and juniper woodlands. The trails also access more heavily wooded areas of pecan, elm, sycamore, walnut and hackberry in the major drainages. Cypress, buttonbush and ash grow on the terrace next to the river.